When you’re looking for a new ESP, you’re going to have to ask some hard questions in order to find the best fit, even if you don’t want to. However, if you don’t do the due diligence now, your reluctance to do so could come back to haunt you when something goes wrong. So dig up some dirt. Ask some hard questions. Do your due diligence. Go beyond what the ESP’s sales team tells you to get the real numbers and answers so you can make a better choice. There is no such thing as the perfect ESP. Sorry. If there were, we wouldn’t have over 100 to choose from! No, every email service provider is like every one of us: a mixture of strengths and weaknesses, good points and bad ones. First, What’s the Difference between ESPs? In my experience, ESP features tend to follow a version of the 80/20 rule: They all do the same 80% (although the various ESPs accomplish it using varying technology). While you want to make sure they do it well, the 20% differentiation is where you look to pick the platform that will grow with you. Before you get caught up in any bells and whistles of extra features, be crystal clear on those advanced esp features you’ll actually use, those of medium importance, and those that you would like to have but can live without. Then stick to that list. Time and time again I see clients asking for a feature they never end up using. You want to avoid getting sucked in by the shiny object syndrome, with “cool” features that you don’t need now or won’t realistically use in the next 18 months. To be sure, try the Shiny Things test here. Once you’ve done that homework, it’s time to look at the differentiators touted by the ESP you’re considering. In all honesty, ESPs vary only a little in the main functionality offered. That’s the 80% they all do the same. However, how they function can differ, so really pay attention to the interface. How something gets done is as important as what is getting done, because if it’s difficult to do, it probably won’t get done. Now you can look at the 20% that’s different but look at it through the lens of, “What do we realistically need?” like we talked about above. Also look at the features offered by the ESP you’re leaving. Were there any you thought you needed but never did use (or figure out)? Which features did you actually use? Which ones did you wish for? Let this insight inform how you view your next ESP choice. Second, Does That ESP Deliver? We could talk about delivering on promises here, and that is a concern! But I am specifically talking about deliverability. In truth, deliverability is not the ESP’s job. It’s yours. However, the ESP should be bolstering your results by doing everything they can to ensure the highest possible deliverability rates for their platform. So what does that look like? Don’t simply ask them for a number. They could come back and tell you their clients average a 96.2% deliverability rate, and that is meaningless. For one thing, that could mean someone is down at 80% if you’re averaging. 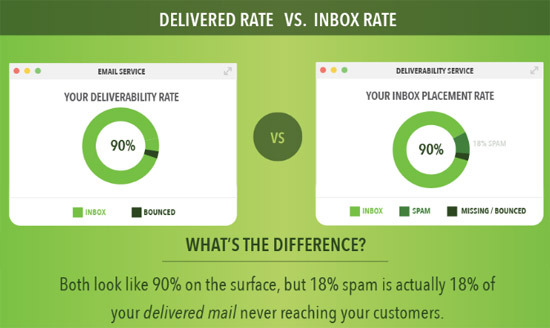 More importantly, you need to know the deliverability rate you can expect for your emails, not someone else’s emails. You, ultimately, are the one who determines your deliverability rate for your organization, by adhering to email deliverability best practices. Which deliverability tools are built into the platform? Does the platform allow you to measure Inbox Placement Rate (IPR)? How does the ESP monitor deliverability? What will the ESP do if you have deliverability problems? Is there a team of deliverability experts in-house? What is their training, experience and skill set? Is there support for both dedicated and shared IP addresses? What kind of sender reputation support is offered? Is there real-time monitoring and alerting for blacklisting, domain blocking and abuse reporting? Which types of authentication does the platform offer? SPF, DomainKeys, DKIM and/or DMARC? Third, What Does Downtime Really Look Like? When your ESP’s platform is down, you lose the ability to send not only manual but automated emails too. That means downtime is a really big deal. No ESP can guarantee you 100% uptime. (If one does, turn and run the other way.) When an ESP tells you a downtime, dig deeper than the number they give you. If the ESP tells you their downtime is X, verify it, and do the math, keeping in mind that even a tiny percentage of downtime can mean a huge issue for you. You might think 99% uptime sounds great, but what’s 99% of 365? The answer is 361.35 days…leaving 3.65 days of downtime. Talk to customers of that ESP about their experiences with downtime. What is the reality? How often does it happen? How is it handled? Is the ESP proactive when it happens? Also ask the ESP some questions to learn more, like how often do they release updates that require a temporary service suspension? How much unplanned downtime have they experienced in the last 24 months? What caused it and what did they do about it? OK, it’s a miserable job, but someone has to read the Service Level Agreement — maybe not you, but someone. It’s not a perfect world (and remember there are no perfect ESPs) and something could go wrong, as much as we hope it won’t. What recourse is provided should the Service Level Agreement (SLA) not be met? Know that going into the relationship with a new ESP, so you won’t get any ugly surprises later. While reading through the SLA (or having someone give you the highlights of it), you will probably realize it says nothing about compensation should things go wrong. Remember my earlier point about downtime? If you lose money due to an outage or some other glitch that prevents you from using the ESP’s platform, you probably won’t get reimbursed. So really pay attention to that ESP’s performance record and ask a lot of questions. Dig deep. Lastly, Is Your Data Safe? Your customers and subscribers trust you with their personal information—not the ESP, but you. Protecting that data is your job, but there is a vulnerability you can’t avoid because you have to use that data in order to use that ESP. That means your ESP must guard the data as diligently as you do. Security should extend beyond the platform to cover access to the network as well as local access from the platform facility. Before evaluating the security capabilities of any ESP, be clear on the requirements of your organization and industry, and the level of security wanted or mandated. Ask the ESP about audit trails and security tools. Do they provide monitoring and alerts? 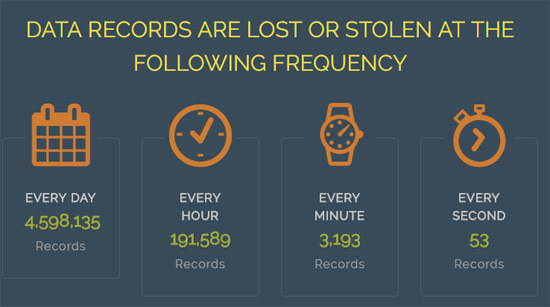 What about data breaches? Has the ESP had a data breach? If so, when and what steps were taken to prevent a recurrence? Then get granular: Does the vendor offer encrypted fields for email? Does the vendor offer tokenized sending? While these might seem like almost confrontational questions, it’s worth the time (and discomfort) to seek out the answers. You don’t want to be switching ESPs any time soon, right? And investing more time now can help you make a better choice. Besides, the ESPs might also be vetting you. You present a potential risk to the ESP and they need to make sure having you as a client won’t damage their sending reputation (or make their lives miserable). This is such a serious matter that Andrew Bonar compiled a list of resources for ESPs for the OnlyInfluencers blog. Switching ESPs is always a hassle, so make sure you’re switching to an ESP that’s going to work for you for a long time. Be willing to dig deep and ask a lot of questions, about even seemingly minor issues. You might just uncover some dirt that will save you from bigger issues later.